The WTSC Airgun Open 2017 took place on the 28th of May 2017. Congratulations to Ray Kane (DFST) who won the gold medal on the day, Terry Wearen (DFST) who won silver and Aisling Miller (DURC) who won bronze in the Air Rifle 60 shot competition. In the Air Pistol competition, Peter Gordon (RRPC) won the gold medal, Tomas Jakabauskas (WTSC) won the silver medal and Alanas Jakabauskas (WTSC) won bronze. Greta Zavadskiene (WTSC) won the Air Pistol 40 shot competition while Giedrius Zavadskis (WTSC), Frank Feeney (BRC) and Denis Zavadskis (WTSC) took the top three spots in class D respectively. Well done to everyone shooting their first airgun competition. A big congratulations to the WTSC family on running their first competition in a number of years. 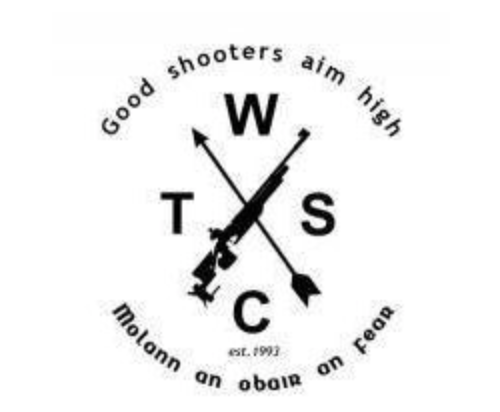 It was a great day out for all with the shooters being treated to a barbecue put together by the WTSC members following the competition. We're looking forward to the next one already! Results from the day can be viewed here.